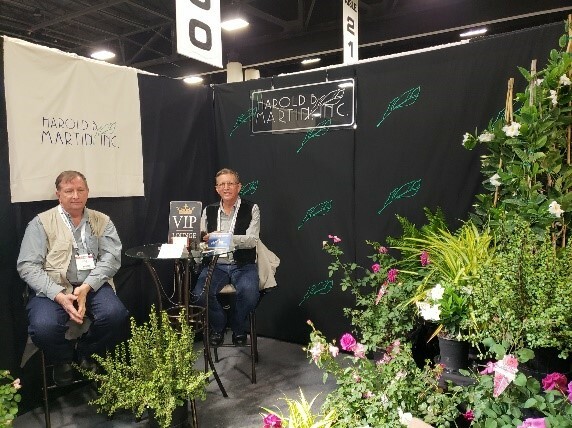 Did you know that the #ornamental #plant industry in south Florida creates almost 40,000 jobs? And one place for you to see why, is the annual TPIE event. The Tropical Plant International Expo (TPIE) is a place where ornamental plant nurseries exhibit their most gorgeous plant products. 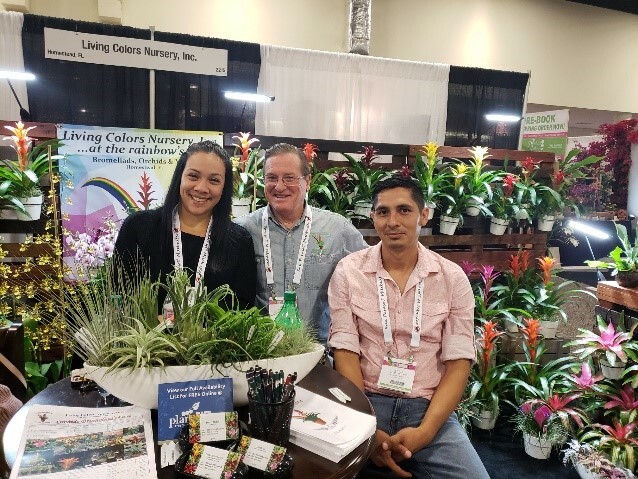 For three days, you can wander the expo looking at hundreds of beautiful plants among orchids, bromeliads, cordylines, ficus, succulents, dracaenas, palms, and much more. 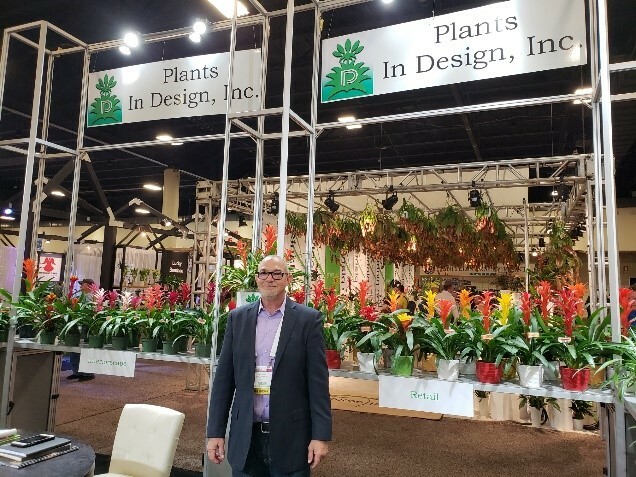 In addition, you can take one of the tours and visit a nursery in south Florida, where you can walk among hundreds of plants and hear from the main grower about how they cultivate these beautiful plants that will end up indoors: in your house, office, hotels, malls and/or outdoors in general. 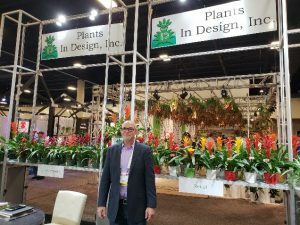 I went last Thursday and was blown away by the great quality of plants you can see. 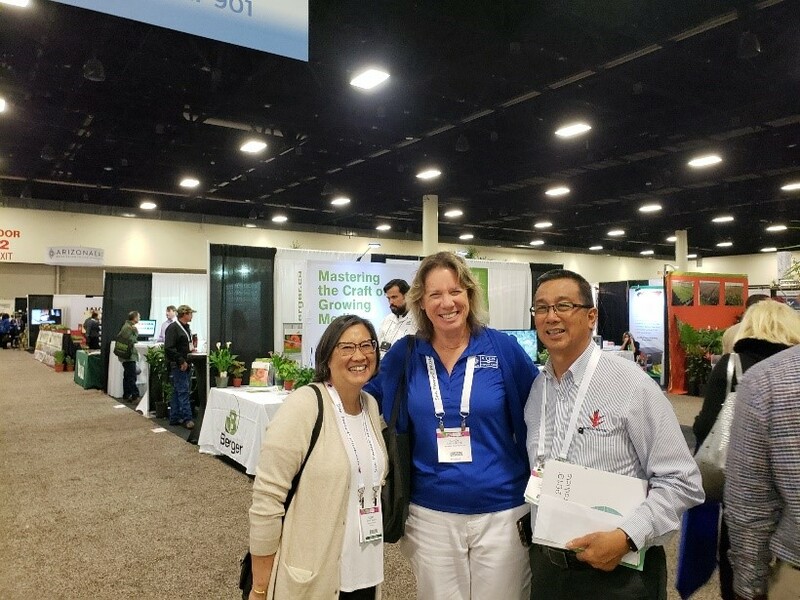 First, I ran into Greendale Nursery Inc. owner: Mark Wilson who was joined by his wife Susan and Cindy Griffin from Broward Chapter, they were enjoying a nice walk among booths at TPIE show. 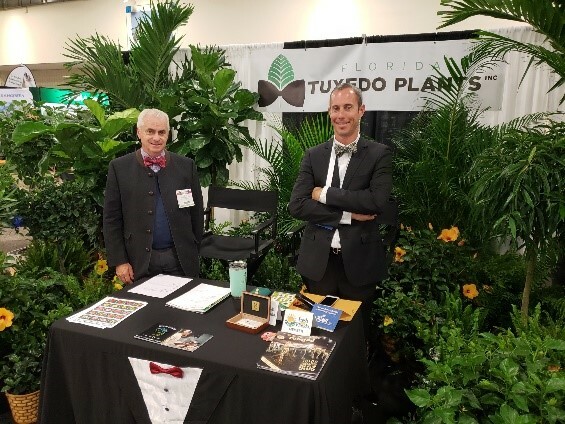 I also had the opportunity to visit Florida Tuxedo Plants, Inc. where Antoine greets everyone with a big smile along with his foliage plants in the background. I also run into Harold Martin Inc. Nursery showcasing fragrant roses grown in south Florida. It is a first time for me learning about commercial rose production in Miami-Dade County, so I was surprised. I saw bromeliads in every color and size when I visited Manny Rodriguez at Plants in Design booth and Mitchell Rabin from Living Colors Nursery. Mitch told me that he barely slept since TPIE started because his nursery also hosted one of the stops of the Production Tour the day before and he was happy and ready to answer any questions on bromeliads and orchids. And my learning moment was when Angelica Cretu and Henry Gonzalez from Costa Farms showed me the new specially designed watering product: Wick & Grow™ pots, that helps give plants just the amount of moisture they need. 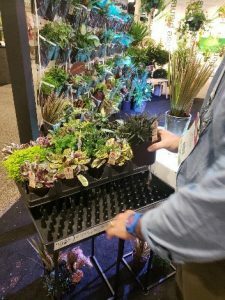 The WaterWick System will adjust to how much water your plant needs in a new environment. No more forgetting about watering your plant while you are gone! 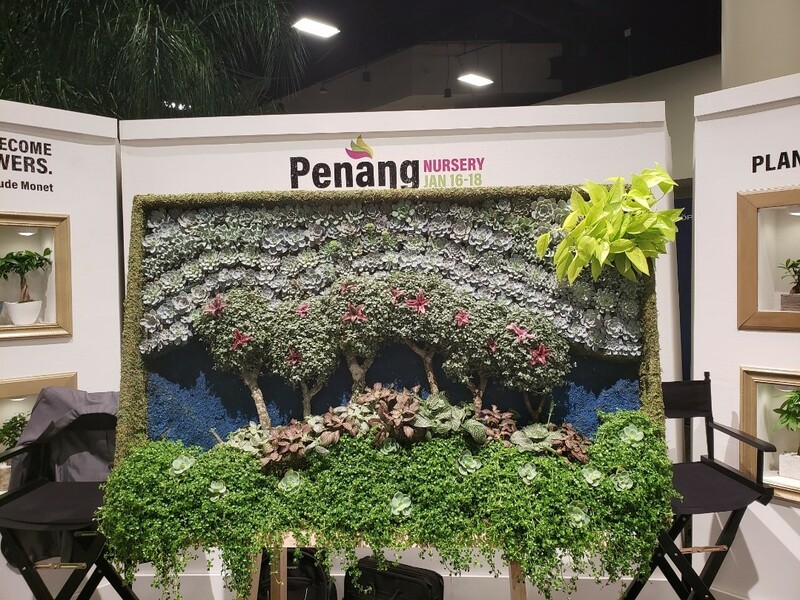 If you go to TPIE, you will get overwhelmed by the high quality and display of some nursery booths. 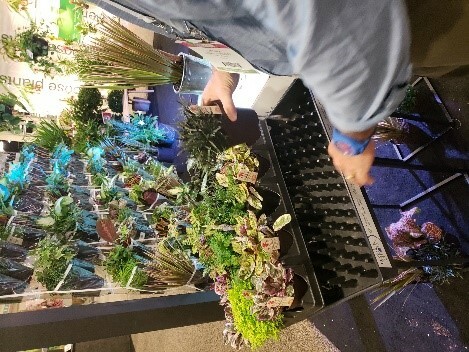 For example, this year: United Nursery did it again and put together a beautiful theme: United Nursery Plant Market. I took a video that you can enjoy here.